Roses : Roses are the best flowers to express the inner feelings towards others, roses come in various colors like red, pink, white, yellow each color signifies a meaning such as red signifies love and affection , yellow color signifies strong tie of friendship, white signifies innocence its overall we can say that roses signifies classiness with simplicity towards the soul. Orchids : This type of flowers for funeral signifies gestures of sympathy towards the demise soul , regardless of the color orchids dignifies the everlasting love towards the deceased, they are always available in almost every season and are one of the best flowers for funeral to show your love and affection. Lilies: Unlike roses lilies are also one of the most used flowers for funeral, this type of flower for funeral signifies the sweetness and innocence towards the demised soul and majorly white lilies are used for funerary purpose which signifies peace and innocence. Tulips: These types of flowers for funeral always signifies towards the new start for the family who has lost one of its members, these flowers shows sympathy and grace towards the family to start afresh with the cheerful thoughts of the departed. 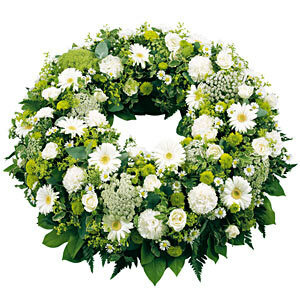 Carnations: These types of flowers for funeral are majorly used to express the strong passion and affection towards the departed soul, these flowers are sweet smelling and signifies the fresh startup for the family and for the departed soul it signifies that peaceful and sweet prayers for the soul to rest in peace. These flowers come in various colors like red, purple, green, white etc. these flowers are the representatives of purity and peace. Flowers are always meant to signify the various emotions in human life they are used in various aspects of life whether it’s a happy moment or a sad moment of life, they provide eternal peace and calmness to the body and mind with their soothing fragrance and charming beauty. Flowers always motivated a person to come out of the sad phase and start afresh with new sprits of life. Sending condolence is not an easy task as we always get confused what to say to the family of the departed soul or how to console them; here the easiest way to send your codolesence to the departed soul is sending flowers. This would express your feelings and emotions towards the family and the demised soul, choose the best flowers from the varieties available and send your good wishes and prayers to the family who has gone through the loss of a precious member of their family. Flowers are always showing good feelings of an individual they are used in funeral as peace and calmness for the departed soul and as a new start message for the family, flowers are always a way of prosperity and affection towards the departed and his family.